Oops! 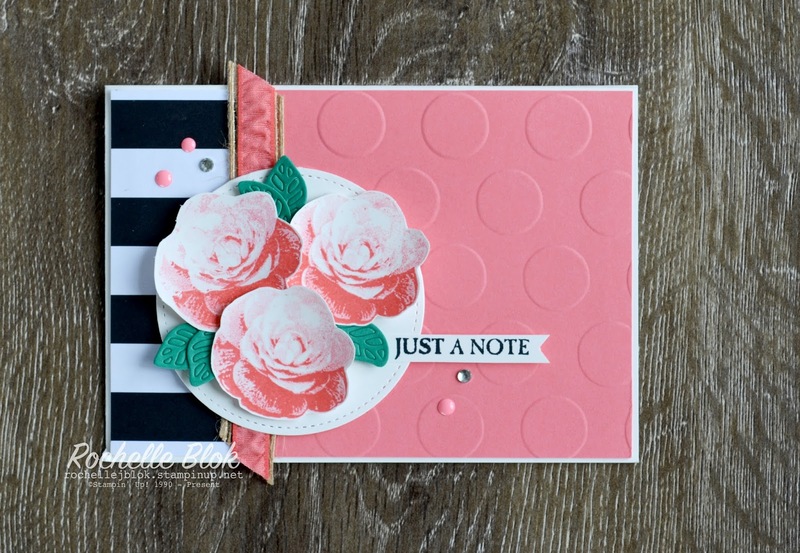 I nearly had forgotten to show you my On Stage Display Cards for the recent Stampin' Up! On Stage event held in Brisbane at the start of the month. I was chosen earlier on in the year to be a Display Stamper. I was sent a few of the new products from the upcoming Occasions Catalogue to create 15 samples to put on display at On Stage. 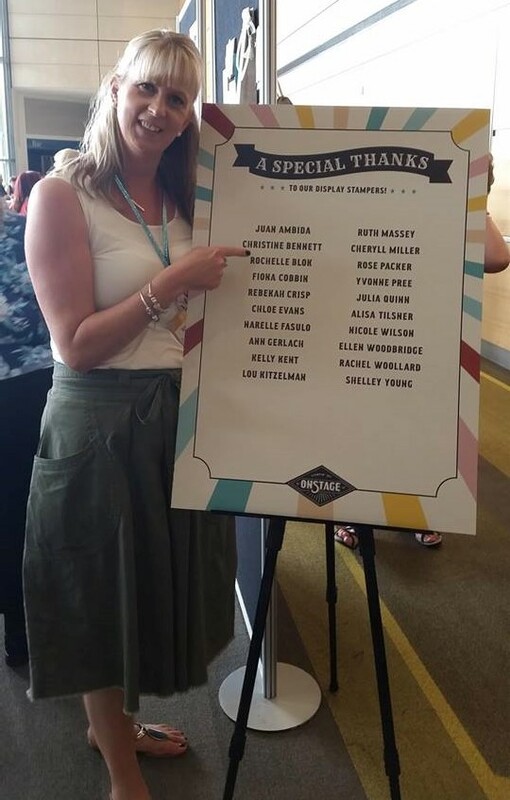 I was super excited to be part of the display stampers and to make samples for all the attendees to get ideas from. I received the stamp sets Nailed it, Urban District, Build It Framelits, Hexagons Dynamic Textured Embossing Folder, Urban Underground Embellishments and some co-ordinating ribbon and cardstock to accent my creations. Anyone who knows my creations knows that I'm all about everything pretty, lots of buttons, sequins, ribbon and embellishments. So all these products that I received was definitely going to get my creativity going and for me to step out of my comfort zone, that's for sure! I'm quite proud of my creations and so pleased with how they turned out. 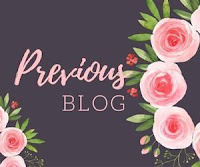 This post will be in 3 parts due to there being lots of photos so watch this space. 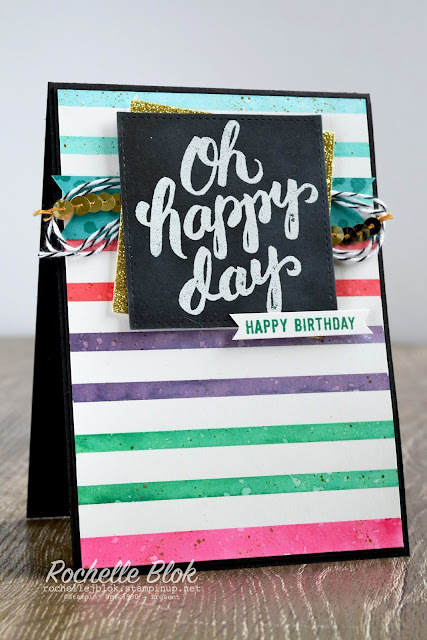 I have used a mix of the Nailed It stamp set and Urban District in nearly all my samples as the two sets go so well together. This first sample I embossed the hammers on to watercolour paper using White Stampin' Emboss Powder and then coloured over with a watercolour wash background. Like an emboss resist technique. Can you see the embossed vellum? 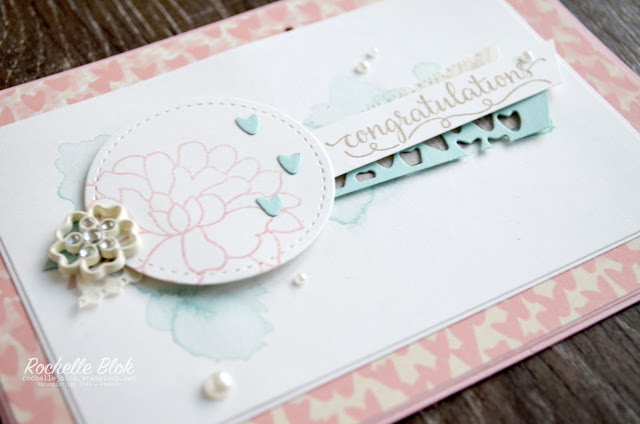 The Hexagon Dynamic Textured Impressions Embossing Folder is just amazing!! If I hadn't have been given it in my sample box I would have definitely had it on my wish list! 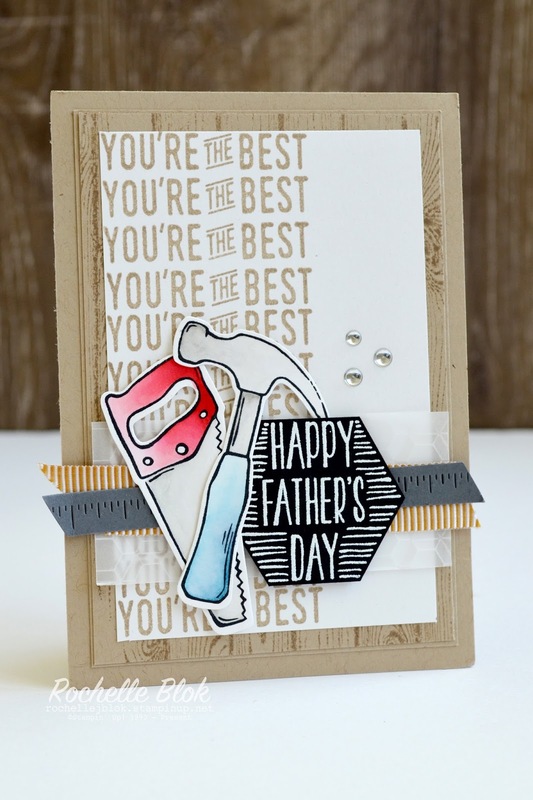 Again using the Hexagon Embossing Folder. I think I nearly used it on all my samples. 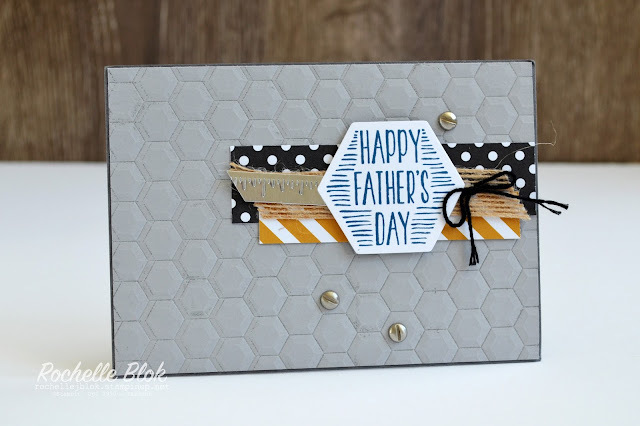 This one I inked up the inside of the embossing folder and then as it ran through the Big Shot it 'stamped' the hexagon image on the cardstock for another look to the embossed layer. Due to the tool images from the Nailed It stamp set being open they lend themselves to being coloured! Yay! My favourite! I stamped the images on to Shimmery White cardstock and then coloured them with Real Red and Smoky Slate. How fabulous does that ruler look? That is one of the dies from the Build It Framelit set! It looks so amazing on Silver Foil cardstock. Just Sayin'. I hope that you enjoyed my first lot of On Stage Display samples. Make sure you check back in tomorrow for part 2. Lots more to show you! Happy Friday to you!!! Welcome to another TGIF Challenge. We have our second Designer Spotlight challenge. 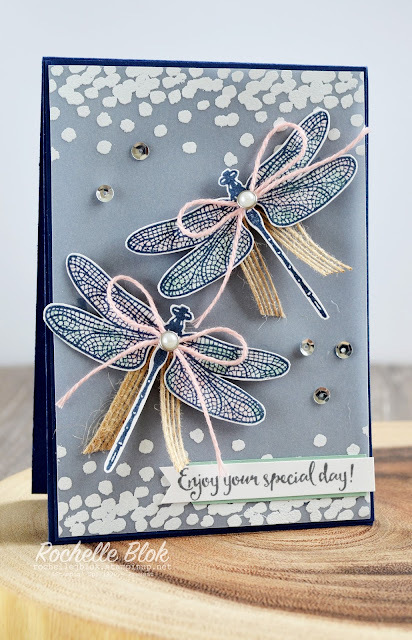 If you're not too sure what this challenge involves, all you have to do is create something inspired by our spotlighted designer! 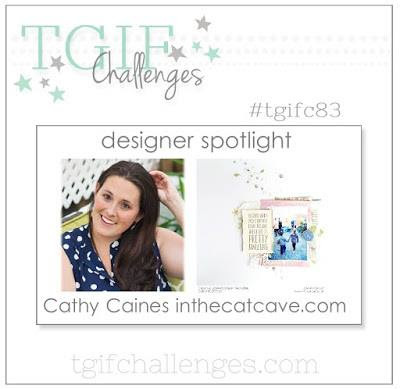 This weeks spotlighted designer is Cathy Caines at In the Cat Cave. My inspiration have come from two of Cathy's recent posts on her blog here and here. 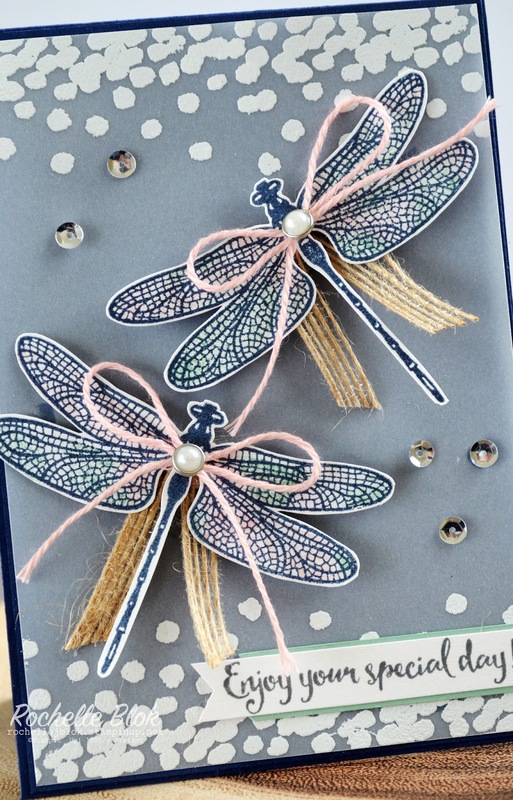 I loved the layout from her card and the watercolour wash and the scattering of pearls and bling from the scrapbook page. I've tried to combine the two of those creations for my card. I'm also showing some sneak peek products from the upcoming Occasions catalogue that starts 4th Jan 2017. All the products, bar the Basic Pearl Jewels and the Very Vanilla Lace Trim, are from the Falling in Love Suite and I'm sure you are going to 'fall in love' with these products too! 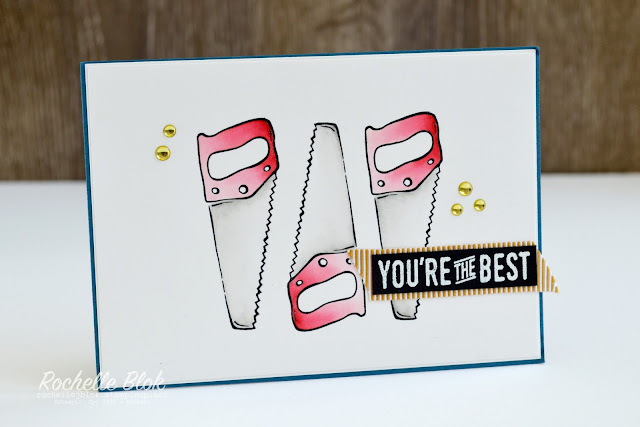 Just a gorgeous collection of products that I instantly fell in love with when I saw them at the recent Stampin' Up! On Stage in Brisbane earlier this month. I've layered some of the new Falling in Love DSP. Some of the sheets feature some beautiful bokeh patterns - a blurred look created from out-of-focus, clustered shapes, as well as some other patterns. 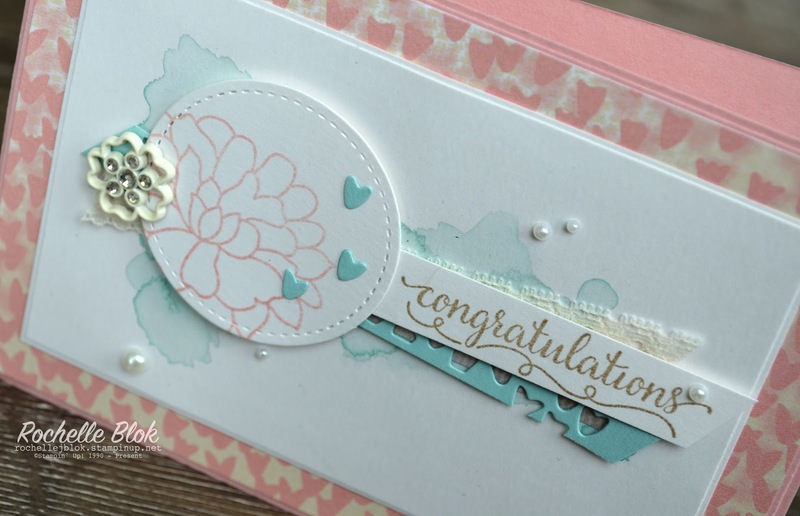 Some of the colours featured in this beautiful DSP are Blushing Bride, Sahara Sand, Soft Sky, Sweet Sugarplum and Very Vanilla. The perfect colours to create some soft and romantic creations. I put a water colour wash on the Shimmery White layer using Soft Sky and then layered some other products from the Falling in Love suite. 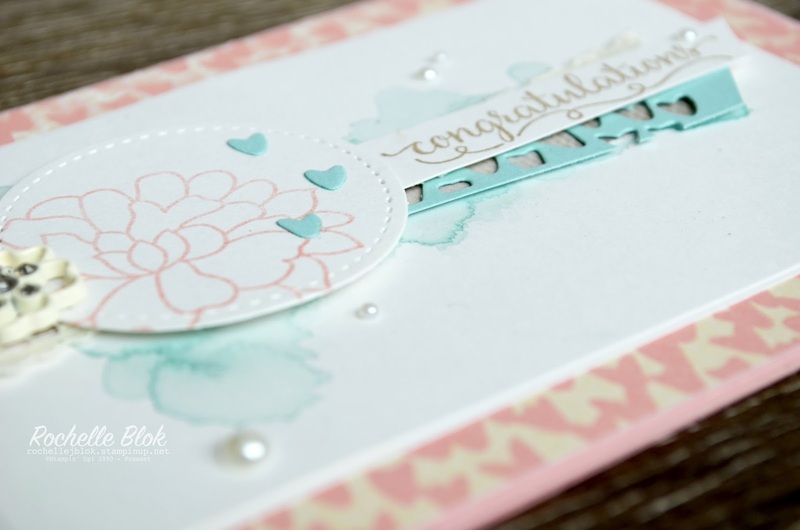 The die cut is s strip from one of the So Detailed Thinlit dies and then I adhered some of the little hearts on to the Stitched Shapes Framelits circle after I stamped it with one of the images from the So In Love stamp set. Sigh! So pretty! How beautiful are those Falling In Love Embellishments?? I'm going to put them on everything!! Just Love them!! Thanks for the inspiration Cathy and for all the fabulous creations that you make! So looking forward to being on the Stampin' Up! Artisan Design Team with you next year and being inspired by more of your fabulous creations! 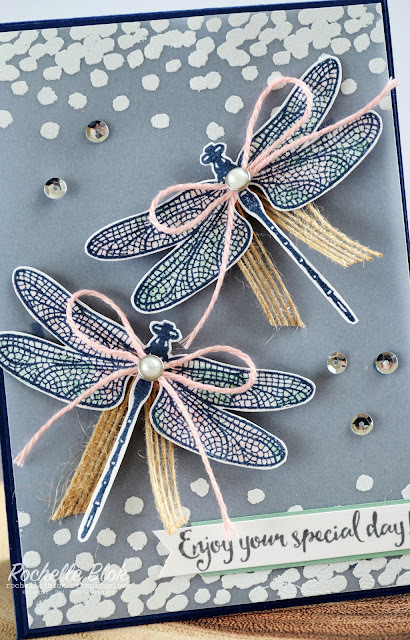 Go and check out Cathy's blog for some inspiration and get creating! I hope that you join us this week at TGIF Challenges! We love to see your work! Sneak Peek Products Available 4th Jan 2017 - Get these on your wish list NOW!! 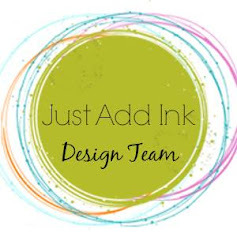 It's Just Add Ink time again!! Yay!! It's an Inspiration Picture challenge week at JAI chosen by Jan.
At first when I saw the pic I was a bit stumped with this challenge, you might need to put your thinking caps on for this one. I decided to to pick out the colours in the picture for my creation. There is quite a few to choose from. 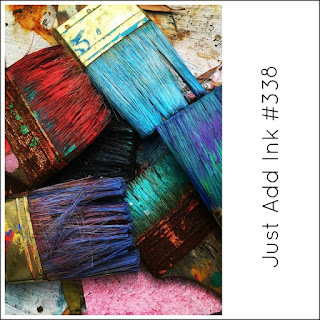 I used the colours to create my own striped water colour background. It was almost like the idea hit me like a lightning bolt from the sky! I had fingers, toes, everything crossed hoping it would work. To get the stripes I masked the panel with washi tape. Make sure the edges are stuck down properly so that you don't get any of the colour bleeding underneath. I first thought to use a sponge to colour the stripes but then I thought it would be easier to use an Aqua Painter to 'wash' the colour on to the panel. So much quicker! After the coloured stripes dried I flicked some water on the panel. When the water dries it gives another dimension to the colour. I then flicked Gold Wink of Stella over the panel. My favourite! Gold shimmer! Next came the real test to see if the washi tape would come off with out tearing the cardstock. I just took my time and peeled it back very slowly to get it all off. 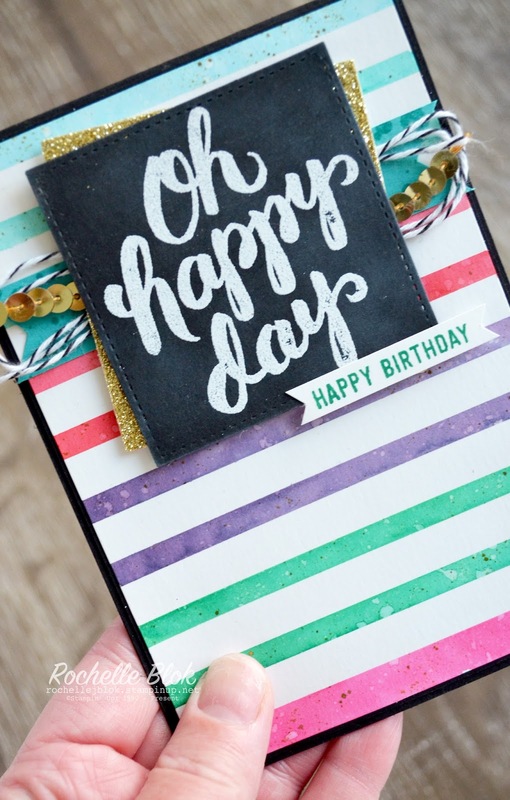 I used the new Stitched Shapes Framelits for the chalkboard panel, I love those, and finished the card off with some Gold Glimmer Paper, Basic Black Bakers Twine and the Gold Sequin Trim. I really love how the stripes turned out! I hope that you join us this week! 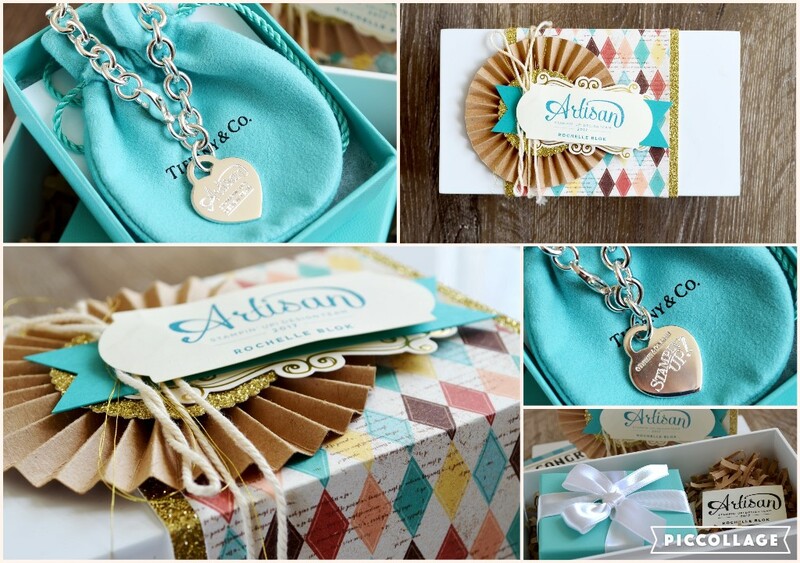 Check out the pic and DT inspiration and then make your own project! We love to see your work! Hello and welcome to another edition of the Stamp Review Crew. Well its been a while since I participated with 'The Crew'. Not because I didn't want to. It was because I didn't have the stamp sets we used for the last couple of hops. 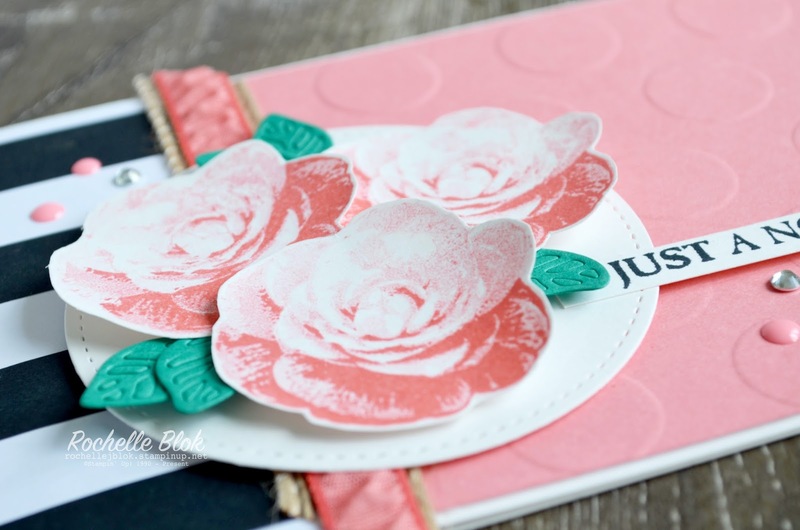 I'm excited to be back for this hop though, using the Picture Perfect Stamp Set. This is one of those three-step stamp sets to create beautiful stamped images using layers of stamps. It leaves for such a beautiful effect. If you are joining us for the first time we are a group of International Stampin' Up! demonstrators that usually show one stamp set at a time, every first and third Monday's of the month. Be sure to make your way around the hop by click the next button at the bottom of each post. If you get lost along the way click on the banner at the top of each post and that will lead you to the list of hoppers so you can continue on your merry way. There are 4 different images that you can layer for a different feel for each image. I've chosen the flower image for my creation today. I was inspired by the banner for this hop for my colour combo today. I do love the combination of pink and black. I've only used one colour for my flowers. 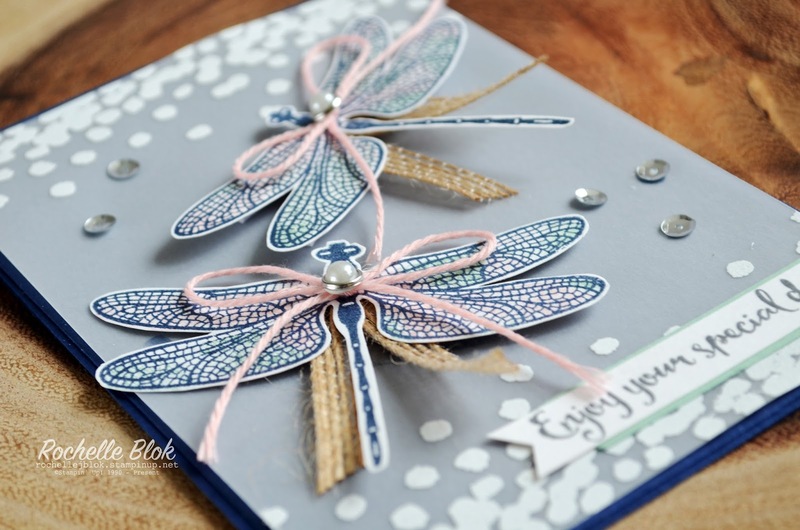 It's done using one of my favourite techniques, Stamping Off. 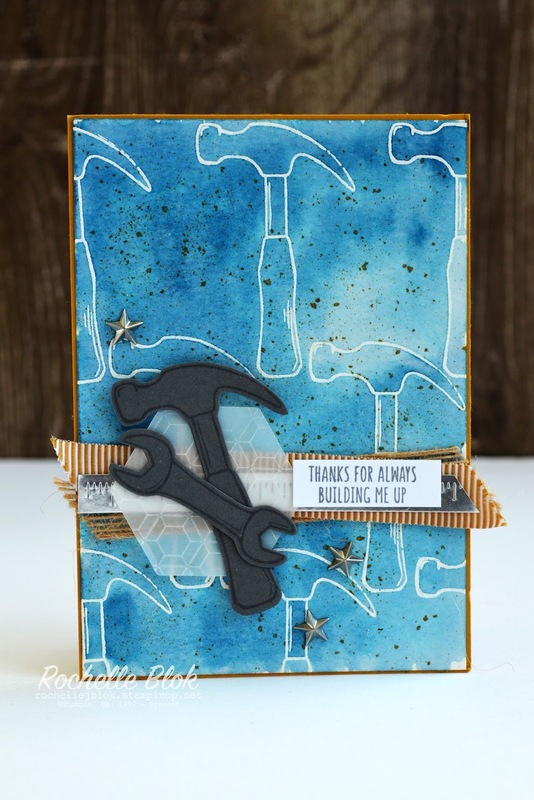 If you follow my blog you will have seen that I've used the stamping off technique quite a bit. 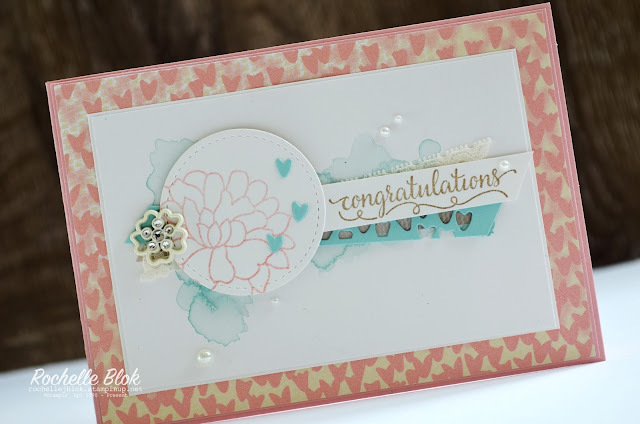 Instead of just having the regular range of Stampin' Up! 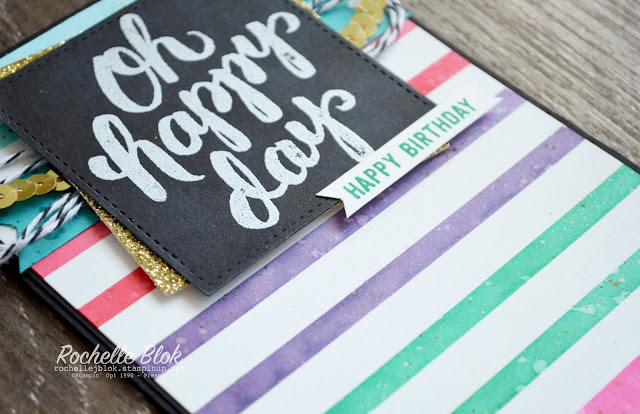 colours by using the stamping off technique you have varying tones of each colour giving you lots more colours to choose from. More Stampin' Up! colours. Yay! Instead of using the leaves from the stamp set I've used the leaves from the Flourishing Thinlits. And instead of popping all the little bits out of the leaves I thought I would leave them in. I really love the different look with all the little bits stuck in. Love having more options for all the products! Next on the hop is the wonderful Dawn Tidd. 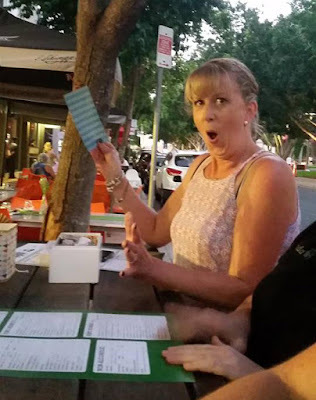 Make sure you click on the next button to see her fabulous creations and show her some comment love. If you are hopping in reverse click the previous button to hop back to Mike Funke for his what he has done with this set. 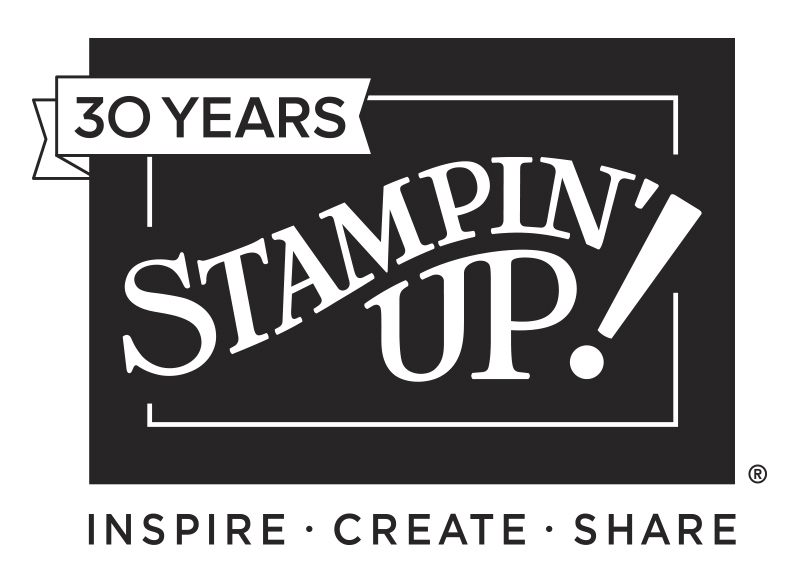 I am super, super excited to be able to tell you my exciting news that was officially announced at the Stampin' Up! On Stage event in Brisbane last week. You are now looking at one of the newest members of the 2017 Stampin' Up! 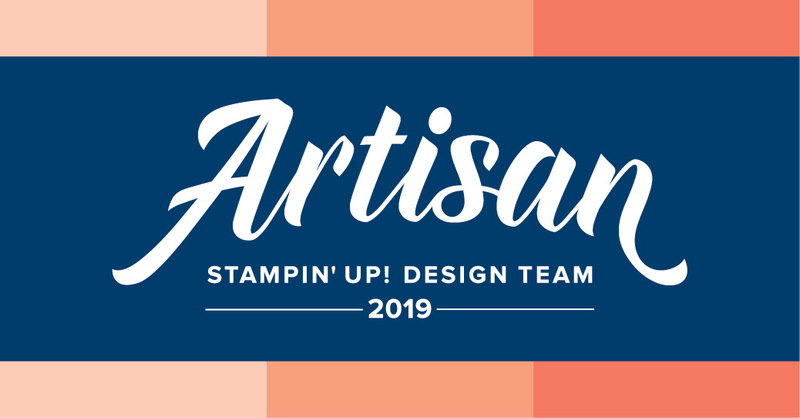 Artisan Design Team!!! WOOHOO! Yes!!! The Artisan Design Team!!!! This has been one of my goals for a little while now and I can't believe that it has come true. 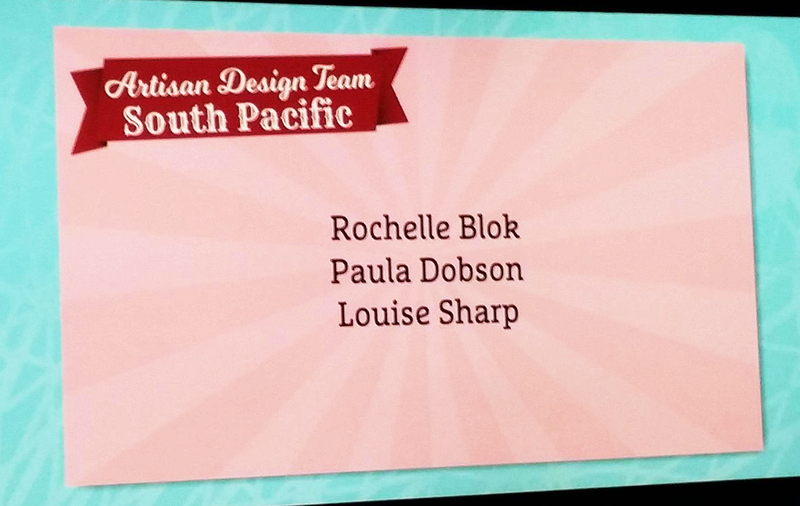 I'm so very honoured, humbled, grateful, thankful, excited and maybe even a little nervous to to be on the Artisan Design Team. But I can't wait to get creating for you all! All the Artisan Team were given a memento for being on the ADT. I must say that I didn't open it straight away because I wanted to take my time and not be rushed and to just savour the moment. I can tell you that I was super excited when I did. This is the first Tiffany and Co. piece of jewellery that I have owned. I didn't even want to take the ribbon off the box! Its just too gorgeous. 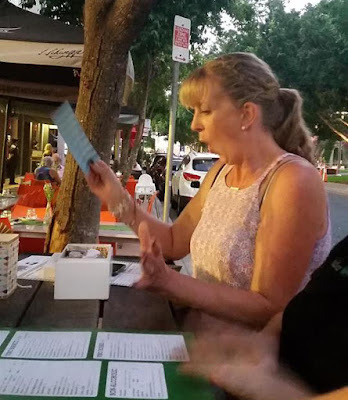 I did end up opening my box when we went straight from the last session of that day at On Stage to dinner. I may have been just a little bit excited to see what was in that box!! And I may have squealed 'Tiffany blue" when I opened it! Ha! I still can't believe I waited all day to open it too. That is not like me at all!! 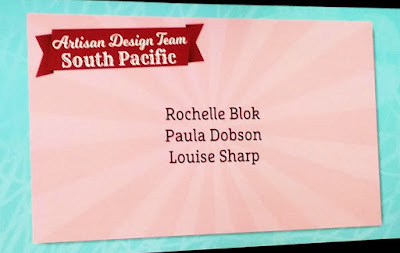 There are three of us chosen from the South Pacific market, the ever fabulous Louise Sharp (Aust.) and the wonderful Paula Dobson (N.Z.). 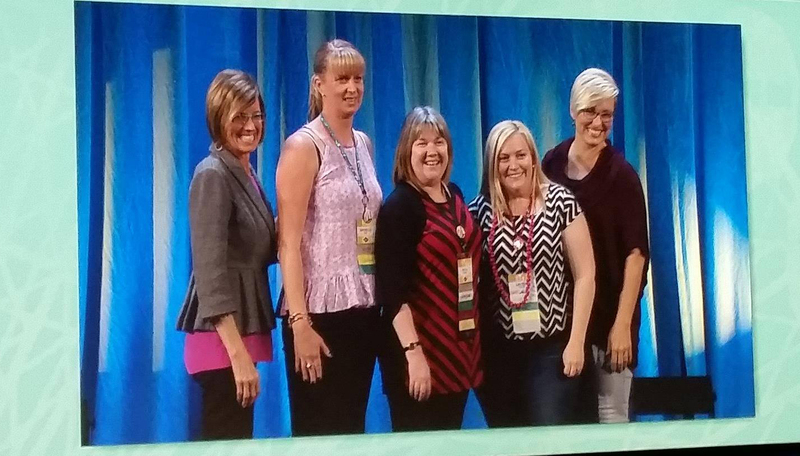 I'm so excited to be on the Artisan Design team with these super talented ladies. There are 20 of us all up from all over the world and I'm so happy to be sharing this wonderful year ahead with them all! Congratulations everyone! It is an honour to be on this team with you all!! To make sure that you are up to date with all my Artisan creations for 2017 please make sure that you follow me by email and you will never miss a thing! 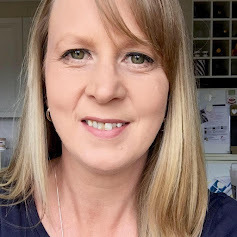 I just want to say a big thanks to my fabulous and supportive friend Chloe Evans who took some photos for me as, of all the weeks it could happen, my phone was out of action. 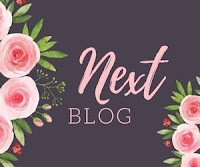 Make sure you check out her fabulous blog here.